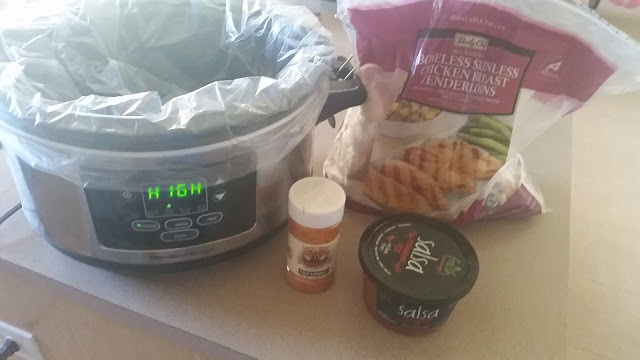 Crockpot Tacos - So Easy! Here is an easy recipe for you to make today. It's Monday so start the week off with a healthy meal and have leftovers to last you through the week. This is what you will need. Throw the chicken in the Crockpot. Shake on some seasoning and pour salsa over chicken. Cook on low for 6 hours or high for 4 hours. When finished take a fork and shred the chicken. Top it with anything you like and enjoy!